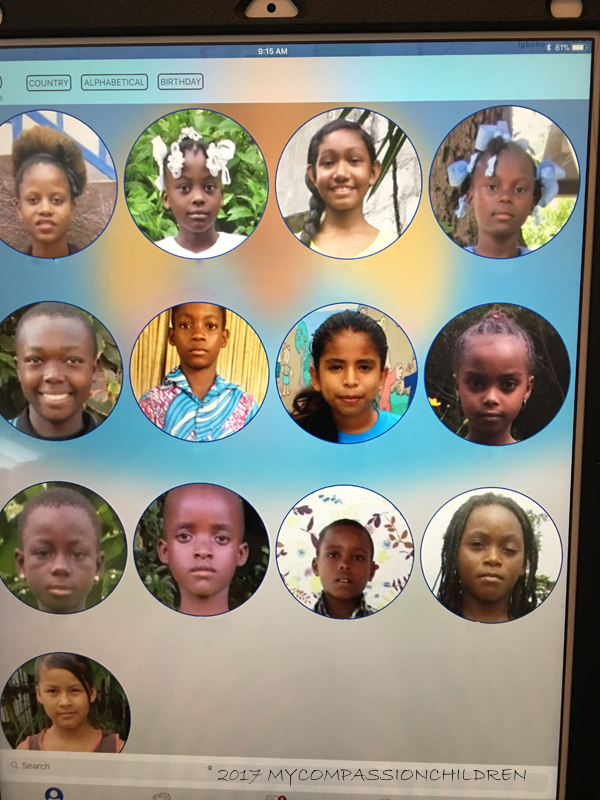 I just installed the Compassion app on the new iPad I received for Christmas. I love it! It’s going to be so much easier to keep up with correspondence. Happy New Year! I received this masterpiece from Daniela today. 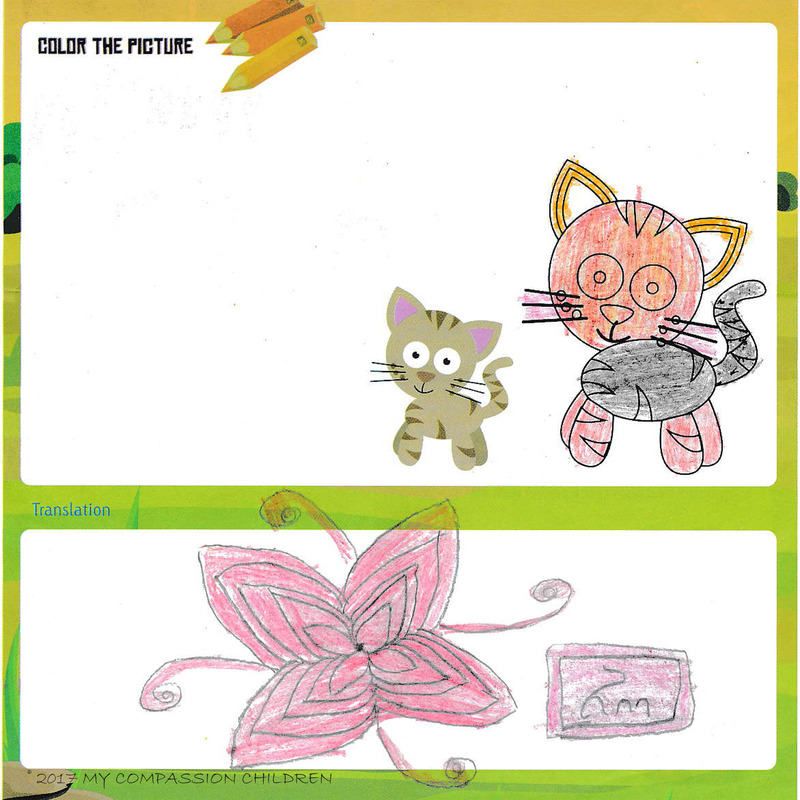 I continue to love the children’s drawings to me! I recently received a new letter from Kigongo. It was heartwarming to know how he responded to “In the future I hope to visit” as ‘my sponsor’. Who knows, it might happen someday. Kigongo has big dreams and I hope and pray they work out for him. He says he wants attend the university and to be a doctor when he grows up. 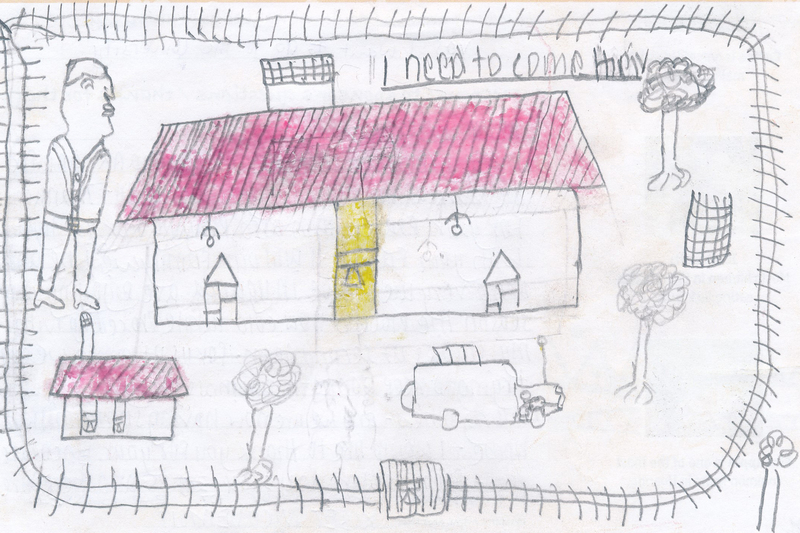 Here’s a picture Kigongo drew in his letter to me. I recently received a new picture of Anold. It is always fun to look back over the years! 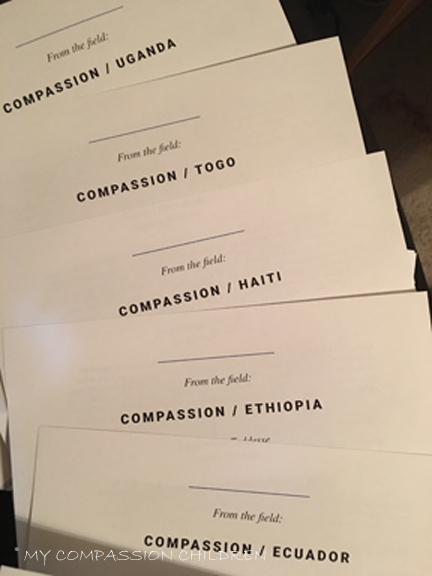 After reading several letters from my children last evening, I was reminded once again of the common thread in almost all of their letters to me. What is it? It is very simply LOVE. 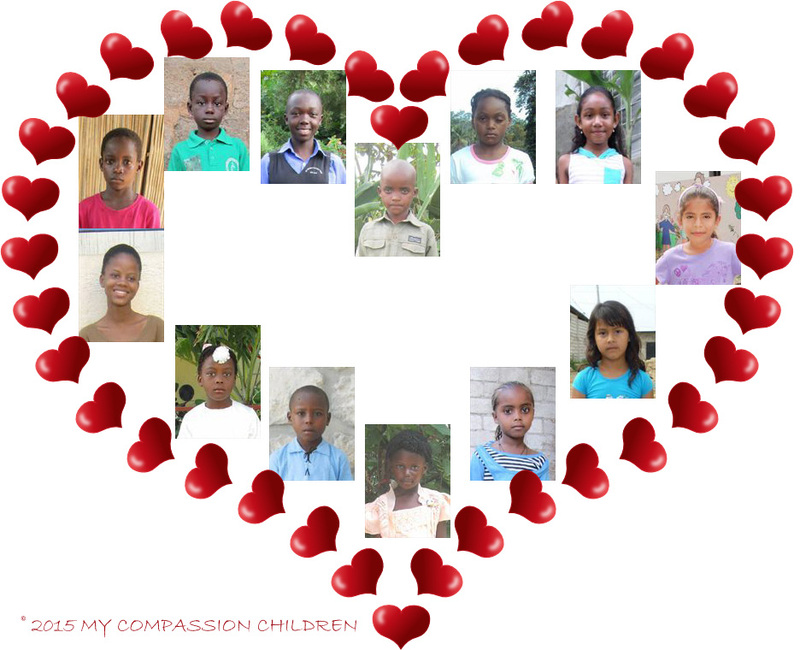 The children tell me they love me and many times they mention that their family loves me. It warms my heart to know that love transcends the continents and creates a special bond! 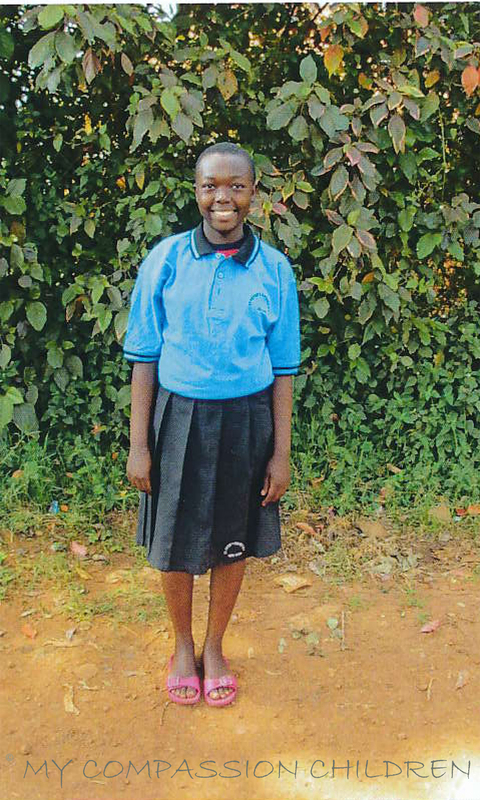 I recently received a set of letters from the country directors of my sponsored children. These letters definitely give more insight into the challenges the children face on a daily basis. I am so happy to be able to do a little part in this huge mission. On April 21, I received an email with a link to a copy of a letter from Akoete. Here in the United States, we accept speedy internet correspondence as a way of life, but not so much in a poor area in Togo. It is truly special to be able to receive a letter written by Akoete on April 6, just fifteen days after it was written! 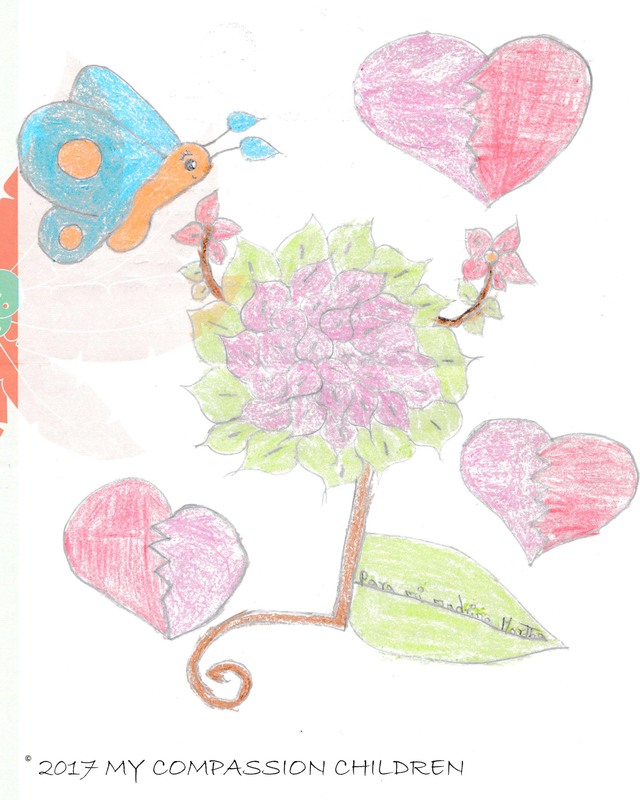 I never tire of seeing the children’s drawings. This time I received artwork from Emeliya. Art transcends language barriers! 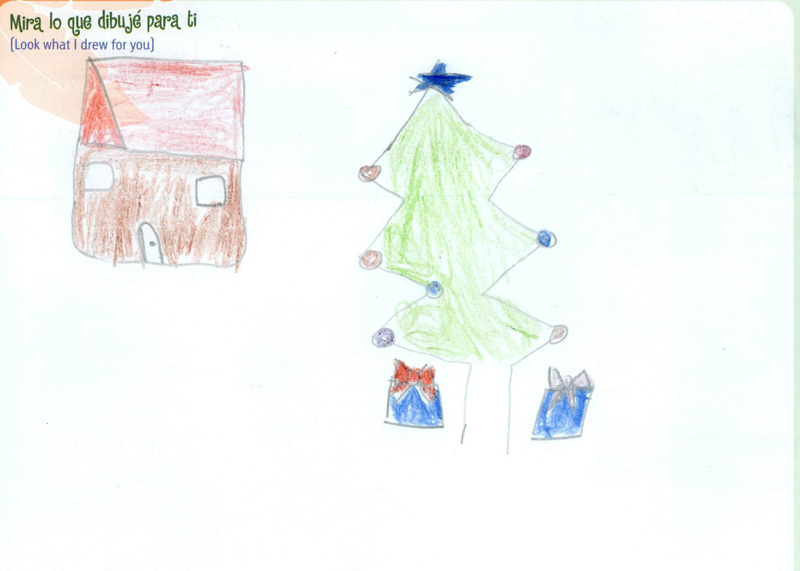 Christmas drawings come a little late when they are delivered from Ecuador! I received a letter and this drawing from Josselyn today. I love watching the teenage girls grow into fine young women!